Earlier this year, Riley had the opportunity to compete at the American Marksman National Championship together with Dane Peterson the eventual winner of American Marksman. 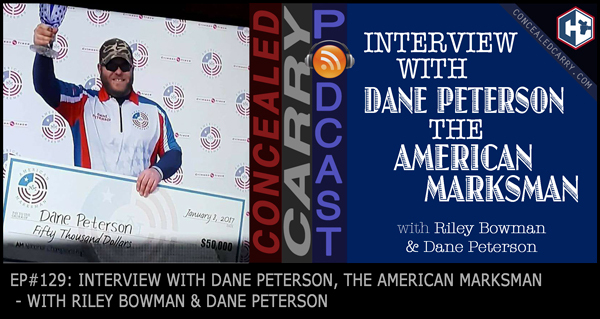 After Riley and Dane had the opportunity to shoot in the same 3-gun match at the Hornady Zombies in the Heartland match, they sat down to talk about the experience, the journey to the national championship, and the process Dane went through to become The American Marksman. We also touch on getting kids involved at a young age in the shooting sports, and we talk about the amazing rights and privileges we have in this country afforded us by the Second Amendment. Press ‘PLAY' above to listen now!